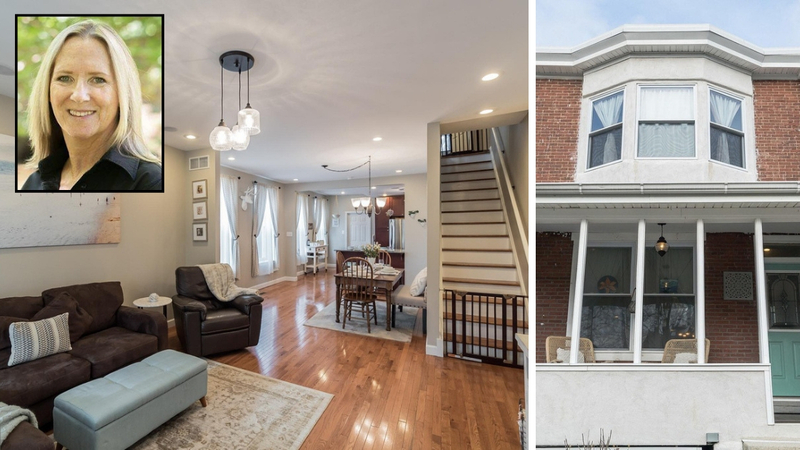 Renovated Twin Home in Conshohocken on sought after upper avenue’s. Cozy front porch entrance greets all of your guests making them feel Welcomed. Step inside to find a spacious open floor plan showcasing Hardwood Floors throughout Main Level. Expansive Living Rm, Dining Rm, Kitchen floor plan making this an easy living lifestyle home. Full kitchen highlighting 42″ cabs with crown, all stainless appliances, sleek granite counters with breakfast bar. Front and Side windows let in the fantastic afternoon sun. Don’t miss a minute of your favorite podcast, sports game or song from room to room with your built-in first-floor wireless speaker system. Mudroom entrance from off street parking in rear keeps coats, shoes and bags well organized. Convenient laundry area and 2nd full bathroom. Fully fenced Private Oasis just outside your backdoor complete with large deck and beautiful Sycamore Tree adding natural shade on those hot summer days. Worry-Free rainy days with new retaining wall and underground water mitigation system professionally installed by Keystone Gardens in July 2016. Main bedroom on 2nd floor boasts bay style windows and plenty of closet space. Two additional good sized bedrooms and updated full bath with tub. Home is in move in condition. All new neutral color paint and carpets will make decorating a breeze. Walk to nearby parks, restaurants, train, public transportation and much more. Conshohocken is known for its walkability and prime location to major roads whether you are going into the City or day in the country. So many nearby shopping districts, especially the well know King Of Prussia Mall, Metroplex & brand new Town Center. The listing price is $400,000. For more information contact Binnie at (484) 546-7130.